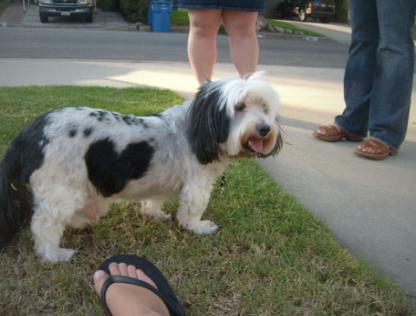 He has a heart on his side. Which means at any moment, he could unleash a withering care bear stare upon suspicious neighborhood folk who posit that I have somehow put this heart on him through sinister dog-altering means. aww... how cute is my grandpuppy?! "it's like a bad disney movie" I actually think it'd be an AMAZING Disney movie (the Mighty Ducks get behind America's hockey mom and take down the terrorists with the Flying V), but otherwise, Damon's on to something, no?